Spent the weekend in Seattle. 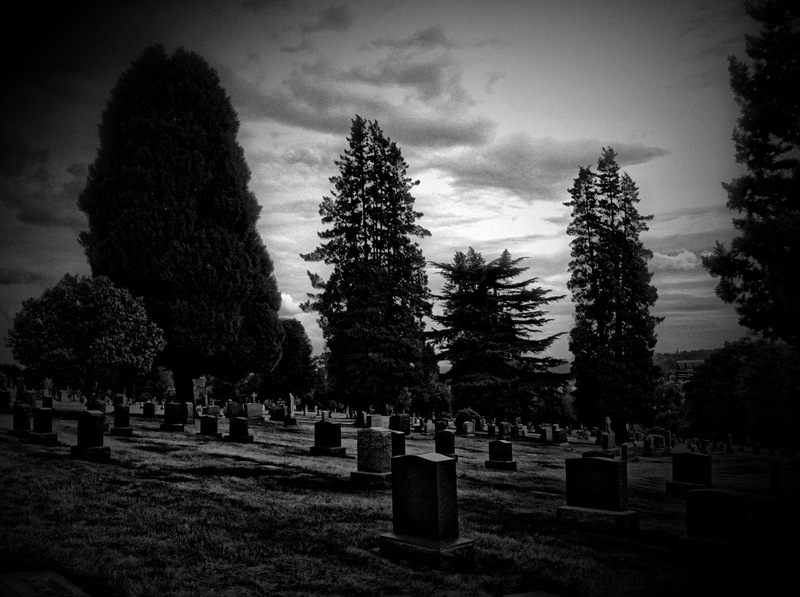 Wandered into a cemetery and took the picture below. I never carry a camera with me, but my phone has one built in. More and more, I find myself recording moments in ways I didn’t before I got the phone. What used to be memories in my head are now preserved digitally, available to be manipulated and filtered for aesthetic effect, the relationship between what I remember and what I’ve created altered in fundamental ways that I’m not sure are good or bad, but are definitely different.